The Supreme Court on Friday issued notice to the Centre and the Tripura government on a petition challenging the constitutional validity of the Passport (Entry into India) Amendment Rules, 2015 and The Foreigners (Amendment) Order, 2015, which naturalises illegal migration of Hindus, Sikhs, Buddhists, Jains, Parsis and Christians into India due to religious persecution in Bangladesh and Pakistan, where they are in minority. 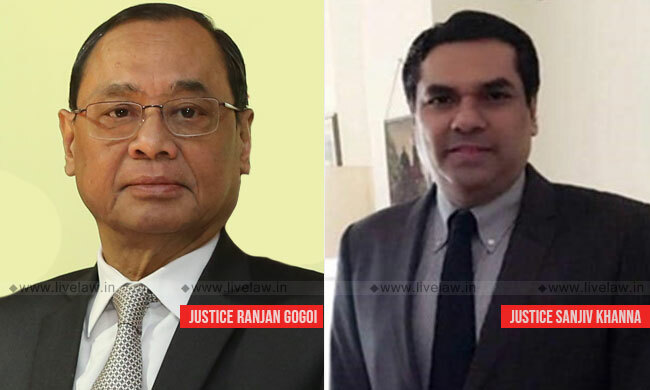 A bench of Chief Justice Ranjan Gogoi and Justice Sanjiv Khanna issued notice on a petition filed by the Tripura People's Front, praying that the said Rules and Order be declared discriminatory since they legalise illegal immigration into Tripura and have "introduced religion as a new principle into the citizenship law and can be conveniently branded as "communally motivated humanitarianism"'. In the petition filed through advocate Manish Goswami, the Tripura People's Front, represented by its president Patal Kanya Jamatia, said the rules notified in the year 2015 had led to "uncontrolled influx of illegal migrants from Bangladesh to Tripura thereby causing huge demographic changes in Tripura. The indigenous people who were once the majority has now become a minority in their own land". "The illegal immigrants who are to be granted the benefit of this legislation are to qualify for citizenship only on the basis of religion; a requirement that goes against one of the basic tenets of the Indian Constitution, secularism," it said. The Foreigners (Amendment) Order, 2015 grants exemption from the application of provisions of the Foreigners Act, 1946 to Hindus, Sikhs, Buddhists, Jains, Parsis and Christians who were compelled to seek shelter in India due to religious persecution or fear of religious persecution and entered into India on or before the 31st December, 2014 in respect of their stay in India without valid travel documents or after the expiry of those documents. The petitioner said the legislation opens "floodgates to more illegal immigration and consequently increases claims on diminishing resources. The transformation of migrants, hitherto perceived as illegal encroachers, into legitimate citizens cannot be justified". It is to be noted that the petitioner had earlier moved court for direction to the governments to update the National Register of Citizens with respect to the State of Tripura by taking July 19, 1948 as the cut-off date and the same is pending before the Supreme Court. It had also written to the President and the Prime Minister against legalising illegal immigration of the six religious communities. Last year, a similar petition was moved saying such naturalisation of illegal immigrants was leading to demographic changes in Assam. In the instant petition, the organisation said the impugned Rules and Order is against its fundamental right under Article 14 to be treated equally in the matter of having an electoral roll comprising of only the legitimate citizens of India besides being against its right under Article 21 to protect their own homeland, territory, culture, honour and dignity from illegal alien occupation which is an inviolable right. The petitioner further said that such legalisation of illegal immigration into Tripura is also a violation of its fundamental right under Articles 25 and 29 to conserve and preserve their distinct language, script and culture. "The political patronage extended to illegal migrants helped successive streams of migrants to cross the border easily, find shelter and jobs in India, and finally settle down permanently. One of the fallouts of large- scale illegal migration of Bangladeshis has been that the border areas, especially in Assam, West Bengal and Tripura, which earlier had a mixed composition of population, that is, both Hindus and Muslims cohabited, are giving way to new settlements based on exclusively religious identities," it said.